It takes a lot to have a publisher completely drop an author’s book and ask that bookstores stop selling it. 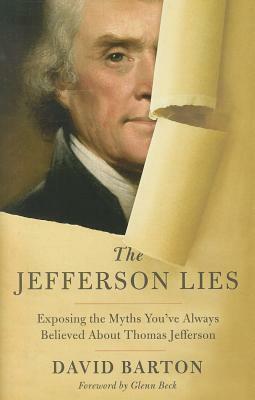 Such is the case with David Barton’s The Jefferson Lies: Exposing the Myths You’ve Always Believed about Thomas Jefferson. According to Huffington Post, publisher Thomas Nelson decided to stop the presses after the bestseller took heat for having factual errors. The Jefferson Lies is Barton’s attempt at telling the “true” story of Jefferson, one that makes him seem less racist, less bigoted, and less secularist, as Meredith Bennett-Smith explains. In an early press release for the book, Barton was depicted as a historian’s version of David, battling against the Goliath forces of secularizing liberal revisionists, USA Today notes. “History books routinely teach that Jefferson was an anti-Christian secularist, rewriting the Bible to his liking, fathering a child with one of his slaves, and little more than another racist, bigoted colonist — but none of those claims are actually true,” the press release stated. But as it turned out, many of Barton’s claims were hard to verify, and in July the book was voted “the least credible history book in print,” by readers of the History News Network. Religious groups were starting to organize protests, while other religious experts condemned Barton’s writing. Now it’s finally come to a head. The book is still available through Amazon, but Thomas Nelson has stopped new shipments, recalled copies from bookstores and asked other retailers to stop selling the e-book. I don’t know about you, but all this controversy actually makes me want to read the book more than ever. Am I the only curious one? What do you guys think? For years, David Sedaris has been making people laugh with his funny — and maybe sometimes exaggerated, but who cares? — nonfiction essays and anecdotes. Now, according to Entertainment Weekly and Indiewire, one of his essays is becoming a movie. Production is set to start next month on “C.O.G.,” which stands for “Child of God.” It’s an essay included in his 1997 book Naked. The essay tells the story of the time when a young Sedaris and a “fanatical Christian” tried to sell stones at a local fair. The EW article goes on to list a number of Sedaris’ stories that could also be turned into movies. I’ll admit: I’ve never read any of Sedaris’ work. That being said, I must agree with EW‘s Stephan Lee that Sedaris’ work might be better suited to an HBO series than a feature film. It will, however, be interesting to see his stories translated to the big screen. A few weeks ago, I told you about a new Sweet Valley High spinoff e-book series that hit the Interwebs this summer. All six of the e-books have since been released. But according to Entertainment Weekly, they’re now also available as audiobooks. Check out the free snippet from book #2 here. 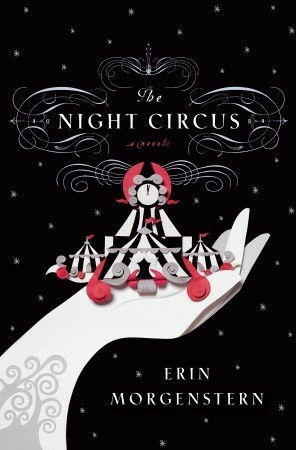 Recap: Gripping, spellbinding, and moving, The Night Circus tells the story of two children who are raised by their magical guardians to become great magicians themselves and battle to see who is better. Celia and Marco learn the basics of magic during their childhood years, knowing that eventually they’ll be competing in a game. They don’t know who will be their opponents or where they’ll play. But the two ultimately become involved in a circus — a night circus — open only from dusk til dawn. Marco is the assistant to the circus director; Celia, a performer — the illusionist — showing off what her father taught her. The two use the circus as a public venue for their competition, creating vibrant, mystical tents that go far beyond what a normal circus engineer could create. Whereas people come to the circus, assuming its performers are manipulating tricks, Celia and Marco are using actual magic. Little do they know, their game is affecting everyone involved in the circus, including Friedrick Herr Thiessen, who makes clocks for the circus; and Poppet and Widget, a set of twins who were born into the circus family and develop their own magical skills. Suddenly, the game between Marco and Celia is not just a game. It’s real, and it gives the circus a life of its own. That only complicates things when the opponents inevitably fall for each other. Analysis: Magic versus manipulation is a theme strung throughout this fantastical and romantic web of a story. Celia and Marco insist they don’t manipulate; they perform real magic to create the trickery on display at the circus. But as much as they’d like to think otherwise, they are also masters of manipulation. They control the entire circus and in some mystical way, the lives of those involved in it. Celia and Marco are constantly trying to juxtapose manipulation and magic, when in reality, they’re proof that the two in inherently linked. Another important factor in the novel is time. The story takes place in the late 1800’s and early 1900’s, a time period in which magic and the circus was hugely popular. Author Erin Morganstern emphasizes the importance of the time and setting with the book’s format. Each chapter and section is dated, explicitly showing the timeline of the story. When a subplot about a boy named Bailey enters the novel, two timelines converge — one moving forward, another moving back. Of course, there are the not-so-subtle winks at time as well, such as Friedrick Herr Thiessen’s clockwork. The beauty of this story is the relationship between Marco and Celia; they start off as opponents and end as lovers. Once they realize what a large part they play in the circus, they’re willing to sacrifice it all for each other and, more importantly, the future of the circus. Their ability to make magic might die, but they still want the public to experience it. MVP: Celia. She’s the one with the most talent and power, but she controls it. She uses it for the right reasons, knowing that her actions affect far more people than herself. Get The Night Circus in paperback now for $10.20. For those who have read the Fifty Shades of Grey trilogy, you know the role classical music plays in the story. Christian often puts on classical music while he and Ana have their “alone time.” But it’s much more than that. For Christian, classical music is a coping mechanism. He often plays pieces on the piano when he wakes up from nightmares. He also puts it on in his car while he drives Ana around town. Now according to Entertainment Weekly, bestselling author E.L. James is a releasing an album of classical music that inspired her while she wrote the trilogy. James selected the pieces, which were mentioned throughout the books as well. The album is available for download Tuesday. The CD will be released in September. A bestselling book was recently removed from bookstore shelves across the country and Amazon’s rankings after its author revealed he fabricated some of the quotes in his book. 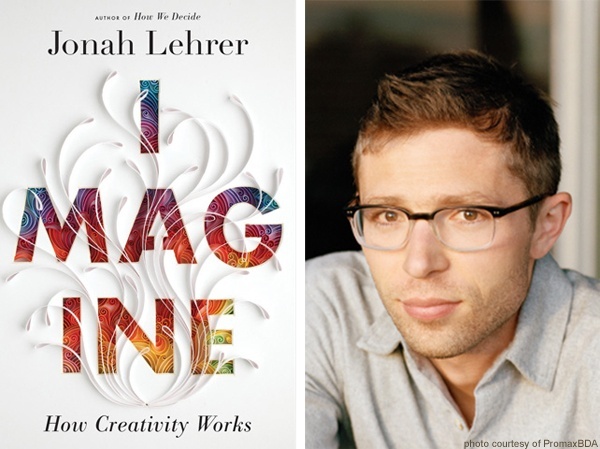 Imagine: How Creativity Works, written by Jonah Lehrer, was released in March and reached the #14 spot on The New York Times non-fiction bestseller list as recently as last week. But according to The New York Times, the book was subsequently pulled when an article in Tablet magazine explained Lehrer fabricated some of the Bob Dylan quotes used in his book. This is not the first time Leher has done something like this. He also writes for The New Yorker and admitted just a month ago that he recycled some of his writing from other publications for an article in The New Yorker. His boss reluctantly kept him on the staff, but not after his most recent stint. Lehrer has since resigned from The New Yorker, while publisher Houghton Mifflin Harcourt removes his bestselling book from bookstore shelves. This is one of the more serious fraudulent writing cases in recent years, as Julie Bosman explains. A publishing industry that is notoriously ill-equipped to root out fraud. A magazine whose famed fact-checking department is geared toward print, not the Web. And a lucrative lecture circuit that rewards snappy, semi-scientific pronouncements, smoothly delivered to a corporate audience. All contributed to the rise of Jonah Lehrer, the 31-year-old author, speaker and staff writer for The New Yorker, who then executed one of the most bewildering recent journalistic frauds. As a journalist, blogger, and someday hopeful author, this is not just a mistake; this is an act of betrayal. Lehrer misconstrued someone’s words to fit his story, lying to his audience. Whether you consider yourself a journalist or not, that’s simply not right. I’m glad the truth came out, and hope other journalism frauds are also caught in the act.